We will do the hard work finding you the property you are looking for based on the information you provide. Please note this is a fee based service where we act as your retained agent. Once you register we will contact you to discuss the specifics of your requirement and agree the basis of instructions. I am happy for someone to contact me to discuss my requirements. 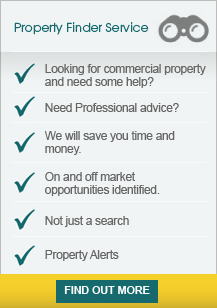 Keep up to date with the latest properties coming on the market with our free Property Alerts Service. We will automatically email you when new properties that match your criteria are added to the website. Just fill in the form below to stay informed. Please note you can unsubscribe at any time from the email alerts should you find a suitable property or satisfy your requirements. I am the happy to receive details by email when new properties that match my criteria are added to the website.